In an era of increasing uncertainty and rising pressures in healthcare, many health systems are discovering the benefits of getting everybody involved in improving the supply chain. In a complex healthcare system, there is no single “root cause” behind overall supply chain issues and no single silver bullet solution. At every level and all along the supply chain, there are opportunities to make large and small improvements that have a meaningful impact on patient care and the organization’s success. Champions of change power this progress. When we use the word “champion,” it’s often in the context of a single victor, such as the World Series champion or an Olympic women’s figure skating champion. Identifying a champion in that context means everybody else doesn’t measure up or that they have been defeated. Some health systems use the term “champion” more broadly, leaving room for more than one. For example, senior leaders are designated as “champions” for large projects or initiatives. Some organizations often appoint “Lean champions” — the leaders who sponsor and oversee “rapid improvement events.” There might also be some “Lean champions” who are advocates and leaders of a broader “Lean transformation” effort that means improving the organization’s culture and management system rather than just implementing a few tools. Some supply chain challenges call for sweeping, strategic initiatives. Health systems may need to adopt new systems across the organization, for example, or rethink fundamental operational practices. But smaller, simpler adjustments are essential as well. Progress depends on leaders at all levels taking on the thousands of everyday issues that pop up, steadily making improvements that are meaningful to them and, ultimately, to patients. Today, organizations that have a robust and sustainable “culture of continuous improvement” discover that they have “champions of change” at all levels of the organization — and that those champions can do extraordinary things when they work together. When it comes to the supply chain, frontline staff can propose better planning processes to ensure the right supplies are on hand for every procedure. Supply chain leaders can introduce new technology that reduces the documentation and inventory management burden for frontline staff, giving them more time for patient care. Service line leaders can use inventory data to identify opportunities to trim waste. CEOs who embrace the need for a culture of continuous improvement encourage their senior leadership team to lead by example by making and sharing small improvements to their own work. They also ask their VPs and directors (in supply chain and other functions) to be champions of change by starting with small improvements of their own. More importantly, they encourage their managers and staff to be champions of change, delegating but staying involved, as needed, as servant leaders who help eliminate barriers to improvement. In too many organizations, “change management” methodologies become a polite way of saying we want to get others to “buy in” or “get on board” with the solutions and answers we are pushing on them. Recent discoveries in psychology, including the work of psychologist Dr. Robert Maurer and the “motivational interviewing” methodology make it clear that it’s human nature to be scared by change, even when it should be rationally viewed as a positive change. People are complex, emotional creatures, even those who want to be champions of change. Instead of lecturing people to be brave or to not be “resistant,” champions of change realize that people own what they create. It might seem faster to give employees an answer, but doing so robs them of the opportunity to develop their own problem-solving skills. Involving people and helping them test their own ideas takes time, but leads to better ideas and more sustainable change. Champions of change evoke and draw ideas out of people instead of pushing ideas at them. • What matters to you and those you serve? • What can we fix? • How can you help us meet our organizational goals? People in healthcare have powerful intrinsic motivation, including providing the best care to their patients and providing the best supply chain support to the caregivers. When leaders at all levels are champions for change, leaders realize they don’t have to mandate participation in supply chain improvement work. Instead, they can learn to tap into (or stop stifling) their employees’ intrinsic motivation and sense of mission. Champions of change inspire others, serve as coaches, and help connect people’s efforts to the mission and measures that matter. These champions rarely step into the spotlight, but their work is essential to making supply chain changes that move healthcare forward. It’s important to take the time to recognize all they do. In upcoming articles, I’ll be sharing stories of how real champions of change have identified supply chain opportunities, proposed solutions, and fostered collaboration to help their organizations make crucial progress. And I encourage you to applaud the champions you’ve worked with as well. 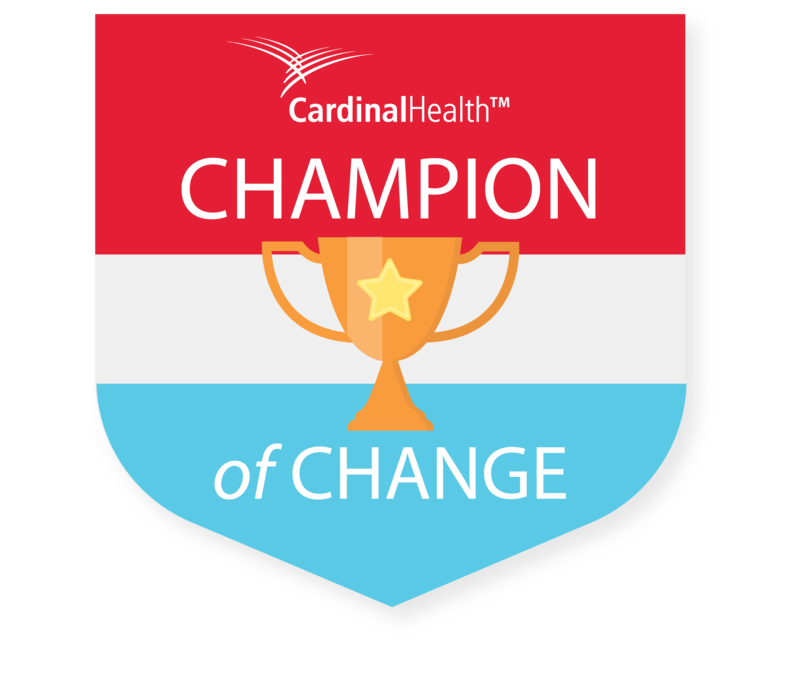 Share a post to recognize a champion of change, using the hashtag #ChangeChampions. I’d love to hear their stories. 1Aguayo, R. (1991). Dr. Deming: the American who taught the Japanese about quality. Page 202. New York: Simon & Schuster.